12 x 5 minutes at 800ISO on April 7, 2007. A nice triplet in Draco. 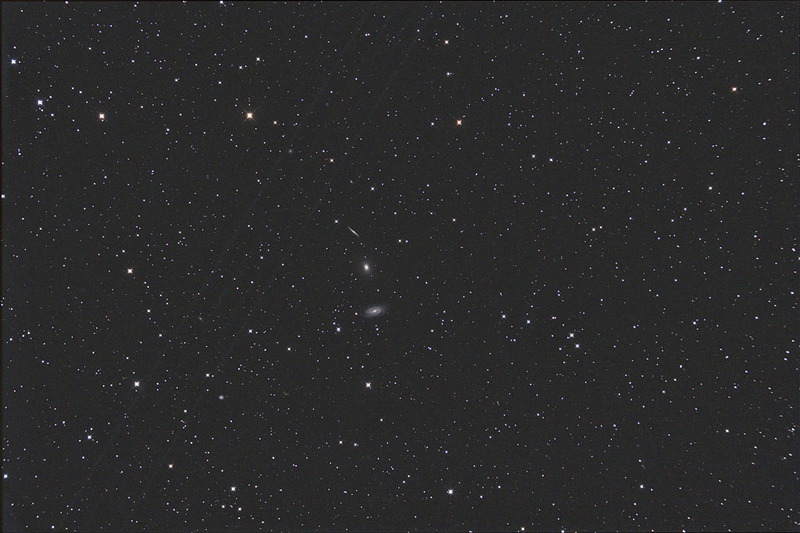 This image was made with a modified Canon 350D, and a 20-cm (8") f/2.75 ASA Astrograph. 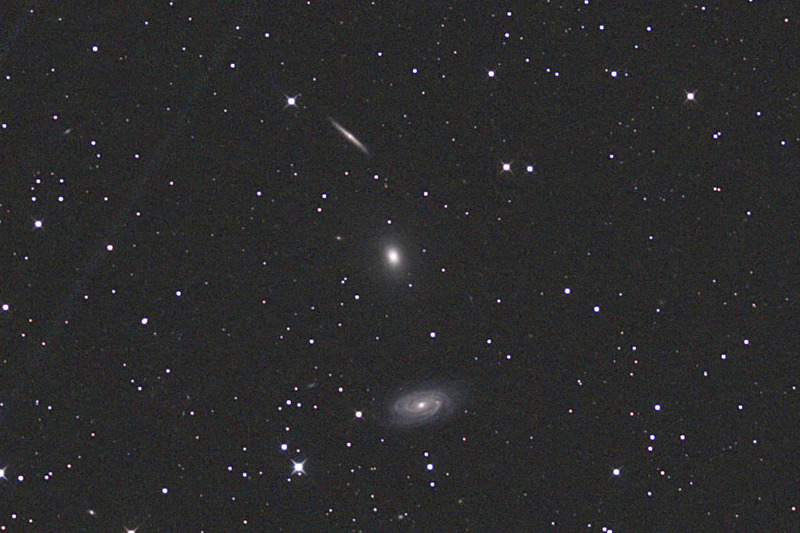 Full size crop, from bottom to top: NGC5985, NGC5982 and NGC5981.